Branimir Puškarić graduated from the Faculty of Law of the University of Zagreb. In the course of his studies he actively participated in the 11th Willem C. Vis International Commercial Arbitration Moot Court competition in Vienna for which he won the Special Rector’s Award and the Martin Domke award. Also, he was actively involved in debating, participating as a competitor and judge in debate competitions of the world debate championships in Sydney, Glasgow, Stellenbosch and Singapore, and has been the president of the Debate Club of the Zagreb Faculty of Law. After graduating in 2005 he was employed as a lawyer in HEP-Proizvodnja. In 2006 he became an attorney trainee with Attorney Alan Sorić in Zagreb, and the following year he joined the Korper & Partneri Law Firm as an attorney trainee, where he became an attorney in 2010. 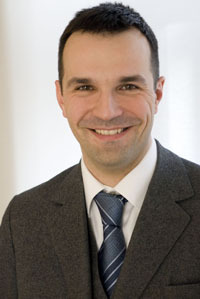 Branimir Puškarić is a member of professional organizations INTA (International Trademark Association), AIPPI (Association for the Protection of Intellectual Property), the Croatian Bar Association, and the Croatian Group of AIPPI. He is fluent in English, German and Italian. Mokos, J., Puškarić, B., 2009. Recent developments in IP legislation.